Treating depression not only helps those suffering, it also increases economic productivity and makes development interventions in impoverished areas more effective. 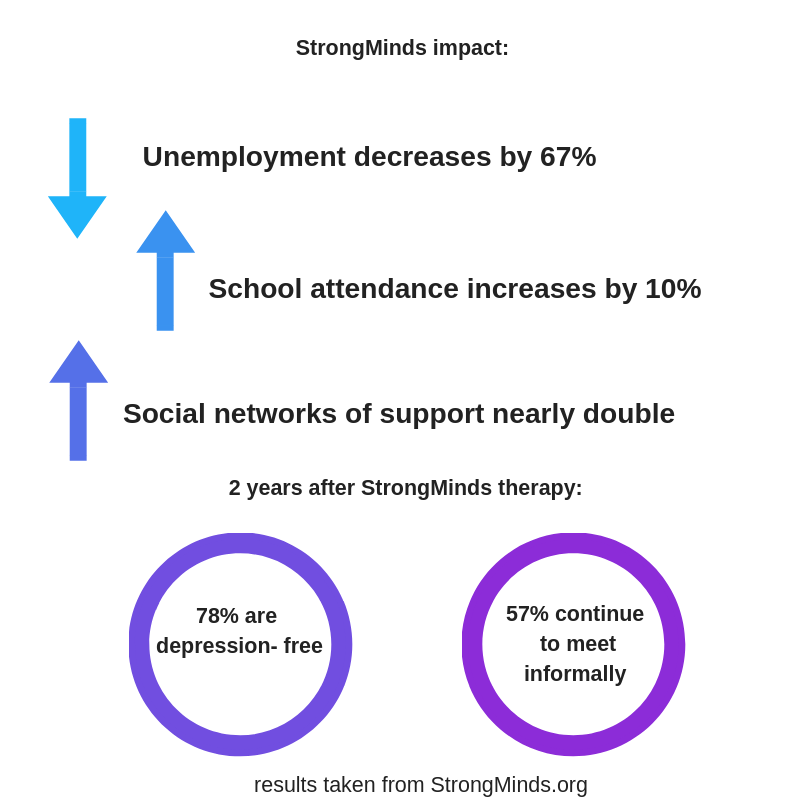 Motivated by this, StrongMinds is treating depression at scale through cost-effective and innovative methods. Depression is the leading cause of disability worldwide according to the World Health Organisation (WHO). More than 300 million people suffer from depression and they frequently face marginalisation because it is often misunderstood and misdiagnosed. For those living in poverty, suffering from depression can trap them in a cycle that is almost impossible to break free from without help. Many find it hard to connect with family members or neighbours and can be isolated from society, making depressive symptoms worse. Depression doesn’t only affect those with the disease, it also means large costs to an economy. The OECD estimates that 15 percent of the working-age population suffers from a mental illness like depression and that it can cost a country more than four percent of its GDP. This is ascribed to the cost of treatment and to productivity loss. Poverty and economic difficulties worsen symptoms of anxiety and depression, and anxiety and depression lead to poverty and economic difficulties. It's hard to work when you're depressed, let alone landing a job. It's a vicious cycle. Adding to the cycle, those suffering from depression often find it very hard to focus, make decisions, and plan for the future. This means they often can't take advantage of aid offered from development interventions. Billions of dollars are spent every year on interventions aimed at teaching people a new skill, improving education, or preventing malaria but the help is not reaching nearly as many people as it could because of untreated and unrecognised depression. Despite the global burden caused by depression, measures to treat it are severely underfunded. Depression is responsible for more lost years of healthy life than HIV; however, it only receives a tiny fraction of the aid HIV receives. There is also a severe lack of trained professionals to treat depression in developing countries. Development economists suggest that one of the best channels to treat depression considering these gaps in funding and staffing is through task-shifting. Task-shifting refers to giving specialised training for certain tasks. Another effective treatment method is group therapy. In search of a simple and cost-efficient and effective way to treat depression, Johns Hopkins University conducted a study using Group Interpersonal Psychotherapy (IPT-G). They found that it reduced depression in 93 percent of those treated. StrongMinds is trying to treat depression in Africa at scale by combining task-shifting and IPT-G. Their goal is to treat two million women with depression in Africa by 2025. They currently focus on treating women because women suffer from depression at twice the rate of men. The facilitators leading the group therapy are local professionals who have been trained and certified in the StrongMinds model. Each facilitator helps 300-400 women per year. After women suffering from depression successfully complete a 12-week group therapy program, they can train to become peer facilitators. 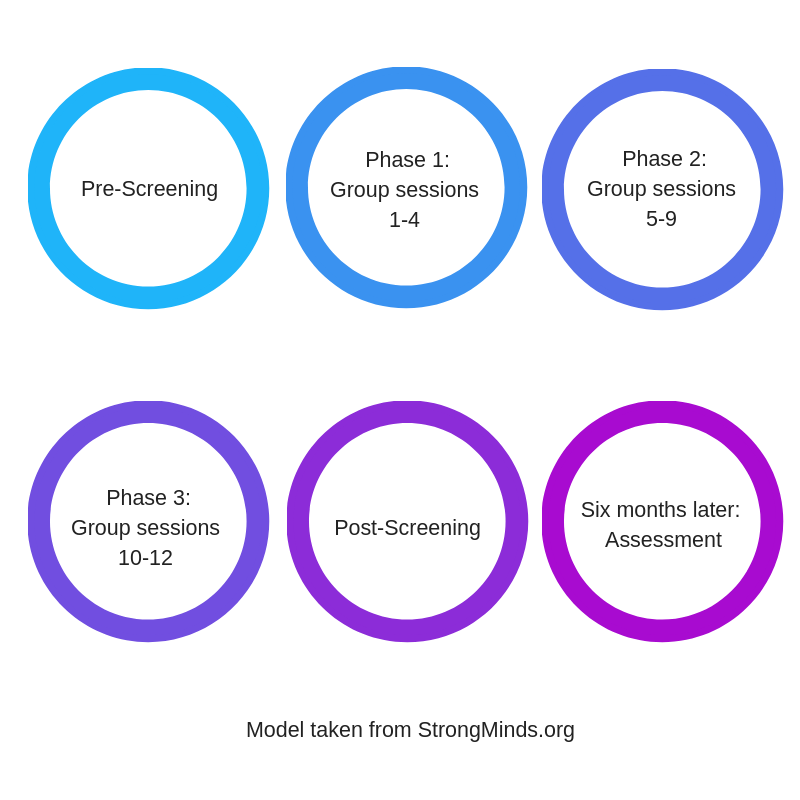 The StrongMinds model is a 12-week group therapy program. Before being admitted into the program women are first screened to find out the level of their depression. If admitted, they join about 10-12 other women in the group therapy. In the first phase women bond and build trust with each other. During the second phase, they get to share suggestions with each other and explore their own symptoms and triggers. The final phase is where they prepare for managing their depression outside of formal group therapy. “I was able to speak out one life experience that hurt my feelings. And it is no longer an issue for me. I just feel, I’m more light now.” - Shallon K.
So far, StrongMinds has made a great positive impact on the lives of women who attended therapy, on their families and on the economy. Of those treated, 70-80 percent of the women are depression-free six months after the programme. In a follow-up independent assessment two years after the program, two-thirds of women were still depression free and the majority continued to meet informally. 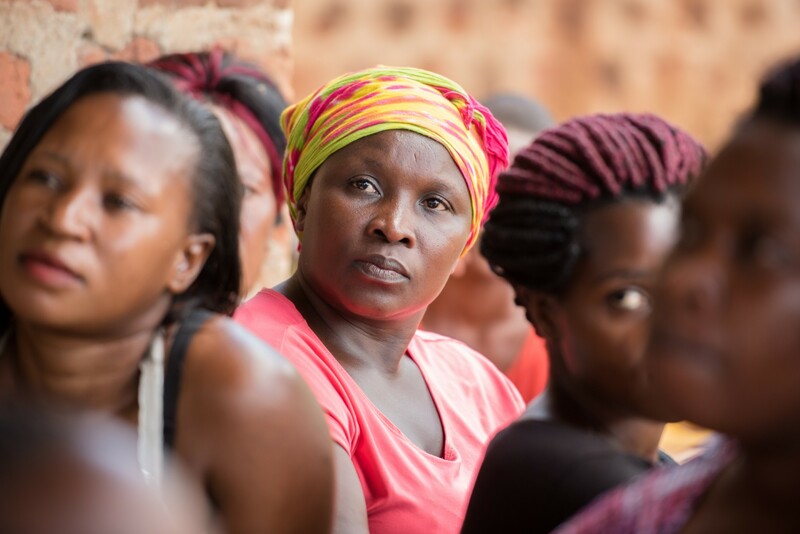 For the women that successfully complete the group therapy, they have seen unemployment rates decrease by 67 percent and of those who already had jobs, there was a 20 percent increase in working time. 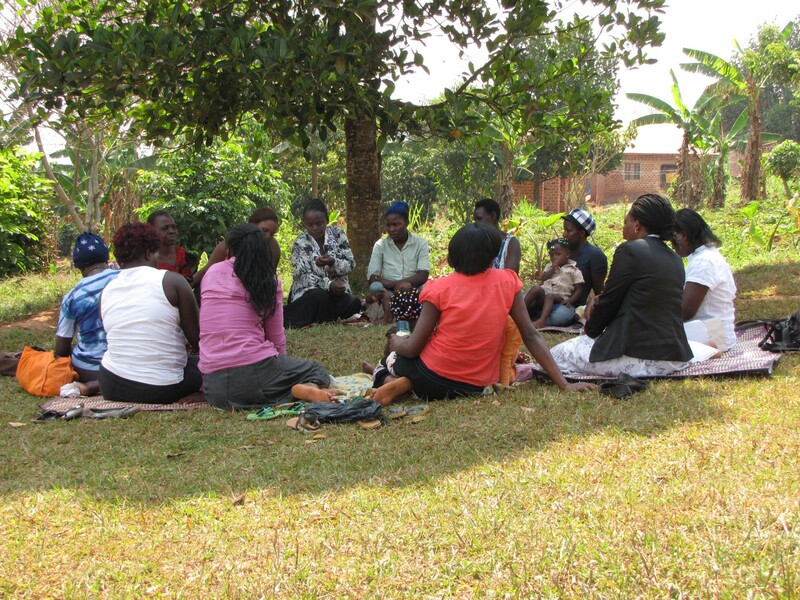 Many of the women choose to form a village savings and loans association after the program.